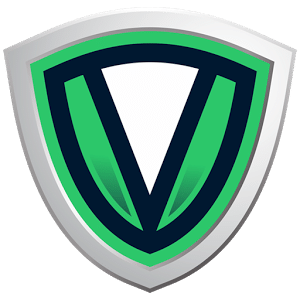 VPN Asia Review (2019) | Does VPN.asia actually secure your data? Mandee Rose | Posted on February 12, 2019 March 27, 2019 | Leave a comment on VPN.Asia Review 2019 – Is VPN.Asia Private and Secure? VPN.Asia clearly pitches for customers in Asia, hence the name. However, its service works very well in other parts of the globe, so don’t be put off by the company’s regional aspirations. VPN.Asia is registered in Belize and has plenty of servers in the Americas, so why they depict themselves as an Asian service is a mystery. Writing from the Caribbean, I can attest that this service is just about the best Virtual Private Network (VPN) provider in North America. If its performance within Asia is better than the results I got in North America, then it should easily romp home in the race to be the best VPN service in the world. Unfortunately, its customer service is lousy, and the company is not entirely honorable. VPN.Asia has the technical aspects of its service down to a tee. If the company is at fault for anything, it is perhaps that it has over-engineered the technical features and hasn’t got its client-facing elements up to speed. The first example of this is illustrated by my experience accessing the VPN from the Caribbean to use web services in North America. VPN.Asia’s performance in North America exceeds US-based VPNs by a mile… in fact, several hundred miles. If it wants to market itself as a VPN for Asia, then it should probably also create a range of front ends that better market its services in North America – VPN.Americas, for example. Had I not been commissioned to write about this service, I would never have considered a VPN that identifies itself with an Asian location. Most paid VPN services will let you have a number of simultaneous connections. That means that you can be securely browsing on your laptop, while streaming a movie on your smartphone over Chromecast onto your TV. With most services, you get five or six simultaneous connections, and those VPN companies realize that customers are going to share accounts. Most VPN companies quietly encourage this type of service usage, because the sharing of an account gives potential customers an incentive to chip in together and take up the service. However, VPN.Asia structures the multiple connection offer in a way that stamps out account sharing. Yes, you can have simultaneous connections, but VPN.Asia is clear that you can only connect one computer and one phone and one router and one game console. So you can have four simultaneous connections, but only with four different devices types – you can’t have four phones connected at the same time. This is another example of how VPN.Asia overplays its technical prowess while failing to understand people. This device-type detection must cost money to implement, and probably loses it potential customers. There would be no extra cost to the company in letting four devices of the same type connect simultaneously. Each connection has the same cost, no matter what type of device it comes from. In fact, the company would have saved money by not bothering to pay for extra software development to put in place this single-device connection rule. VPN.Asia spent money on the wrong type of restrictions. It was just a bit too clever, because it cheated itself of customers who could have made the service more affordable. VPN.Asia can be adapted to use a specified VPN protocol. The default option is to run your VPN traffic through its stealth servers. However, by selecting the Options tab at the top of the client interface, you get to the Settings system. You can change your VPN protocol to Point-to-Point Tunneling Protocol (PPTP), Layer 2 Tunneling Protocol (L2TP), or OpenVPN over Transmission Control Protocol (TCP) or User Datagram Protocol (UDP). The company is based in Belize, which is not in Asia. This is good news, because Belize is very difficult to get to and any lawyers representing copyright holders or repressive governments are going to have to put in a lot of air miles to take the company to court in its home jurisdiction. The website makes no mention of the company’s logging policy. However, it does not keep logs, so any lawyers who travel all the way to Belize are going to leave empty handed, even if they win over the judges in that tiny nation and get an order for all information to be turned over. How Much Is VPN.Asia Cost? The VPN.Asia tariff is mid-range. It sits comfortably in the middle of the cost graph of all VPNs. On paper, its relatively small network would veer you away from its services towards cheaper offers from companies such as VPNArea, NordVPN or VyprVPN, all of which have servers in more countries. However, VPN.Asia’s performance merits the price, which you will find out about below. The one-year package gets you the best monthly price. It works out at $5.75 per month, which is a big reduction on the $9 they charge for a one-month subscription. Check the date on other reviews you might come across on the web for this service. You might read that VPN.Asia gives a three-day free trial, but this is no longer available. The screenshot above shows the payment methods that VPN.Asia accepts. On the main page of the VPN.Asia site, the company states that it accepts bitcoin. However, on the payment page shown above, bitcoin is not on the list of payment options. If this company wants to give the best service to Asian customers, it should really try to help out those victims of repression in countries like Iran, Pakistan, and China by allowing more anonymous forms of payment. I paid for a one-month subscription with PayPal. I was required to log in to PayPal to confirm the payment, and then it was all done. I was then returned to the VPN.Asia site and logged in to the client area, where I could access the software downloads. The company automatically sets up a re-billing agreement with your payment service, so if you just want one month, you need to cancel the agreement in order to avoid being stung for another unwanted month. Similarly, if you sign up for a year, you may forget about your initial enthusiasm and be furious in a year’s time when another payment is sucked out of your account unexpectedly. Click on the Set Up button to get to the downloads page. You will see that software is instantly available for Windows, Mac, iOS devices, and Android smartphones. They have tutorials for Linux, but no software to download. After clicking on your operating system, press the big green button to start the download. The software took a long time to download, even though the file wasn’t that big, so the company should maybe invest in getting a faster server to deliver its software – or maybe there were so many people downloading at the same time that the server was overwhelmed. Once the software download finishes, click on the file to run the install wizard. The installation process was straightforward and quick. There are a few “Next” buttons to press, but you won’t be pestered by options to allow unwanted bundled software onto your computer. The interface opens automatically once the installation is completed. The interface is very easy to use. However, it has some annoying features – the “over-engineered” utilities that I mentioned in the introduction. The app constantly pings all of the company’s servers around the globe. This creates superfluous traffic. If you are on a metered internet service, this unnecessary work will quickly burn through your monthly allowance. The big green Connect button in the screenshot below shows that I should connect to their Zurich server. However, a minute later, it told me to connect to Salt Lake City, and then one minute after that, it switched to Miami. This is just too much confusion. Many VPN services have a Speed Test button in the client app that allows you to do an on-demand speed test to find the best server. That’s good enough. VPN.Asia should step down from this live monitoring of performance, because it just gives the user angst for not pressing the button at the right time, when the nearest server comes up. It’s OK. I’ve calmed down. Clicking on the Support tab in the application opens your default browser and takes you to the company’s support page. Unfortunately, clicking on the live chat option didn’t do anything at all. You will see in the above screenshot that the live chat option shows that someone is online. However, they weren’t. After monitoring the VPN.Asia service for a week, I have never been able to get any live chat support. I clicked on the contact form button and filled out a help request. I immediately received an email notifying me of a new support system account for which I had to set up a password. This seems to be a little heavy on the user, because the log-in to the website dashboard and the log-in to the application already give me two different user account names to remember. I received a response to my help request the following day. To be fair, it was almost midnight when I sent the request. The website also has a knowledge base, to help users. I used Speedtest.net to check out the influence that applying the VPN to my connection might have on performance. I accessed the internet from the north coast of the Dominican Republic. This is a vacation area that has lousy internet service. If you want a VPN to use while you are traveling, this set of tests should interest you greatly. First of all, I tried the speeds of my connection to a server just down the road without a VPN applied. Next, I checked out the speeds on a connection to Miami without a VPN. Still without a VPN on the line, I tried a connection to Tokyo, to see the type of performance I get on a standard connection. Those connection speeds to Miami were pretty good, and I would be able to stream TV over the internet in these conditions. Only, of course, if they detect that I am accessing from abroad, those US TV websites would block me out. I turned on VPN.Asia, connecting to their server in Miami. I then retried my local connection speeds. The download speed had improved slightly. It certainly wouldn’t impair a streaming or gaming connection. The performance of the VPN over a connection to Miami blew me away. This is by far the best speed I have ever seen on a connection from the Dominican Republic and I couldn’t believe it. So I tried the test again. These results are more like the type of speeds I usually get when using a VPN on a connection to Miami. However, in fairness, I tried the test one more time. These results were astonishing – even better than the first test results. The only problem is trying to work out what happened during the second test. The speeds on my unprotected connection to Tokyo probably weren’t good enough to stream TV from there, so I tested the speed of my connection to Tokyo again, while still connected to the VPN server in Miami. The VPN improved the performance of the connection up to the kind of speeds I would need for streaming TV. I tried the test twice more and the performance of the connection with the VPN just kept getting better. The final test gave really good speeds. Of course, the VPN server in Miami would give me an IP address in the USA, so if I tried to get into a TV website, I still wouldn’t be able to watch anything. So I switched VPN servers to the one in Tokyo. Now I appeared to be accessing the net from Japan, those Tokyo TV stations would let me see their content. The results weren’t quite as hot as the speeds I got on the connection to Tokyo running through the VPN server in Miami. I tried the test twice more and the results stayed pretty consistent. The speeds are just about good enough to stream video from Tokyo. When you read a review of VPN performance, you need to adjust the verdict in order to assess that service’s suitability for your own circumstances. It really helps to be able to try out the performance of a VPN before you commit to it. That’s why the money-back guarantees and free trials that most VPNs offer are so important. I was a little annoyed that the company put an automatic re-billing demand on my PayPal account when I signed up for a month. That seemed a little sneaky to me and not entirely honest. If I say that I want a VPN for a month, then I am not saying that I want to use the VPN forever and get billed every month. For my test of the support system, I complained about the recurring payment. It took them one day to remove the recurring element of the payment. Then I told them that I wanted to cancel the subscription entirely and get my money back. The support operator told me there was no need to cancel the subscription and closed down the ticket. I immediately re-opened the ticket, which generated a new support request – the original ticket remained closed. After a day of back and forth, with me becoming increasingly curt, the support operative just decided to not attend the ticket any longer. Seven days after my initial contact on the subscription issue, I still haven’t got my money back, and I have heard nothing back from the support operative for five days. Despite stating that it has a money-back guarantee, VPN.Asia obviously doesn’t. Should I Subscribe to VPN.Asia? You certainly shouldn’t be put off by the company’s name and think that this service is only available in the continent of Asia. It works very well in North America. The interface software downloaded and installed itself effortlessly and worked first time. The need to have three different sets of credentials is annoying and can end up confusing users when they try to remember which login is for the website, which for the app, and which for the support system. Otherwise, this VPN service should definitely be on your trial list. Unfortunately, its sneaky repeat billing strategy and steadfast refusal to issue refunds means that you have to risk that the system will work in your location. If you do decide to take that chance, you should certainly make sure you get the repeat billing commitment removed immediately. After that, good luck. If the service doesn’t work well for you, you have lost your money.